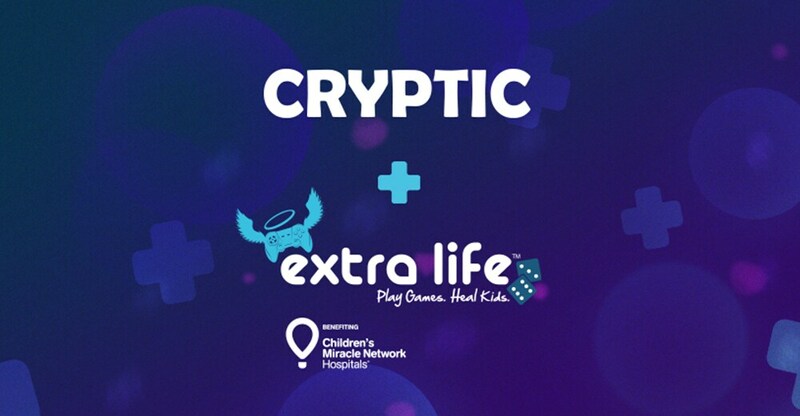 Cryptic Studios is proud to announce our Extra Life Charity Gaming Event for 2018! 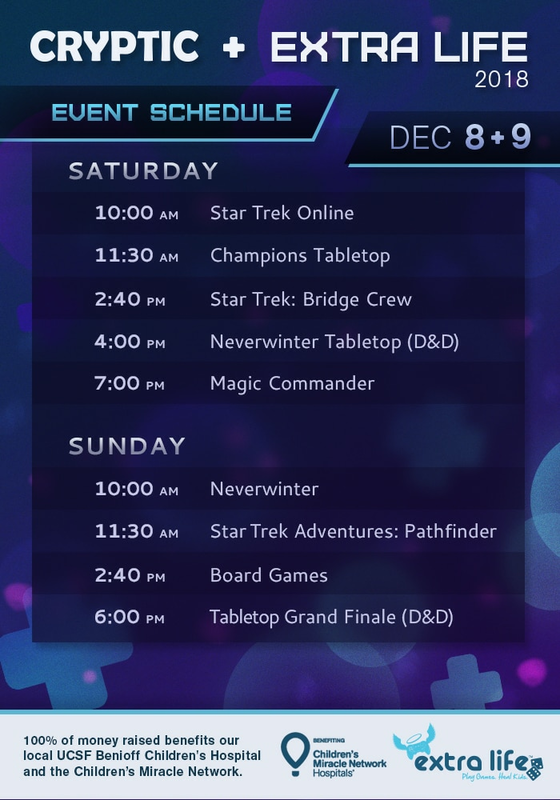 On December 8th and 9th, from 10am to 10pm Pacific Time, Cryptic Developers will be playing video, tabletop and board games live and raising money to support UCSF Benioff Children’s Hospitals. You can tune in, win amazing prizes, and donate to help children in need – it’s a win/win situation for everybody! You’ll be able to watch the whole thing on Cryptic’s Twitch Channel or on the Facebook pages for Star Trek Online, Neverwinter, and Champions Online! Take a look at our schedule, and see below for more details on the events and the prizes! You don't have to wait for the event to donate. Click here, and you can do that right now! But that’s not all! Just by tuning in, being your wonderful selves, and getting the chance to donate to a great cause, you can win some incredible prizes from many of our partners! Here’s a full list of what we’ll be giving away during the show! Solid State Drives from Mushkin! Three Copies of Art and Arcana, a chronicle of Dungeons and Dragons' history. And additional prizes from Modiphius, Wizkids and more! And that's not all. 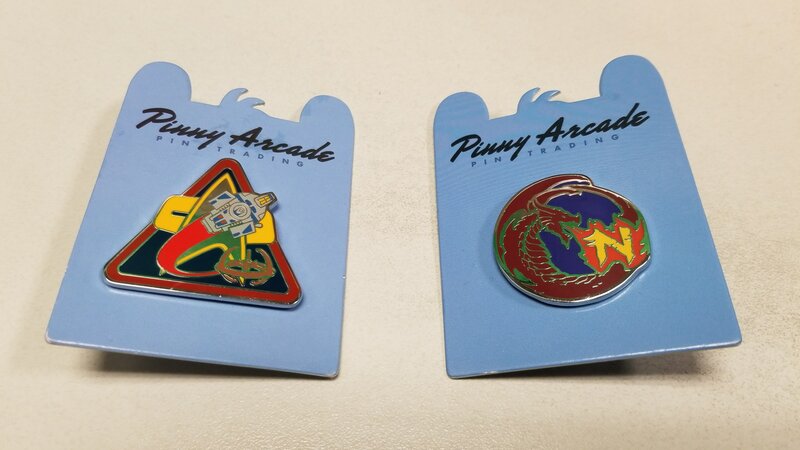 Anyone who donates $15 or more, while supplies last, has a chance to receive one of the two exclusive Cryptic Pinny Arcade pins from this year's Pax West! Just make sure to put in your donation which pin you'd like. Come hang out in the chat and donate money as Kael takes you on a whirlwind adventure through the Star Trek Online world. Your donations will control his actions! Is it going to be a little like Twitch Plays STO? Probably! Will Kael lose his mind before the end? Most likely! Will there be special guests? Of course there will! Star Trek Online’s staff writer, Paul Reed, dives into his tabletop roots and takes you into the world of Champions! Children have been disappearing around Millennium City, and it’s up to a team of wet-behind-the-ears teen superheroes to discover the mystery and save the day. During this tabletop event, you can donate to vote for your favorite two characters, who will become a part of our epic crossover event on Sunday night! 4:00 PM – Dungeons and Dragons! The proprietor of one of the most powerful houses in Neverwinter has passed on, and she has left clear instructions in her will: her estate and all of its magical powers are to go to…Jeff. But which Jeff? Join as a confederation of Jeffs come together to decide who the true heir will be. Your donations will help decide the outcome, and during this tabletop event, you can donate to vote for your favorite two characters, who will become a part of our epic crossover event on Sunday night! If there’s one thing that the developers at Cryptic Studios love doing, it’s playing Magic: The Gathering. Good thing we’re making it into a video game. For our final Saturday event, tune in to see four of Cryptic’s finest players engage in a head to head battle in the Commander format! Who will emerge victorious, and who will tap out? 10:00 AM – Neverwinter Stream with Nitocris! Neverwinter CM Nitocris leads the charge on Sunday Morning, taking you all on a path through Faerûn and beyond! Your donations may even unlock a special PvP session where Nitocris is defeated repeatedly in battle for a good cause! The crew of the Pathfinder returns for a special Extra Life episode! There’s a series of mysterious events across the ship, and the Pathfinder is forced to stop and investigate. What mysterious being might be playing pranks on them? You’ll have to tune in to find out! During this tabletop event, you can donate to vote for your favorite two characters, who will become a part of our epic crossover event on Sunday night! 2:40 PM – Board Games! We’ll take a break from the high, dice rolling action for some high, dice rolling, meeple placing action, as the Cryptic team brings out some of their favorite board games for your entertainment, including Betrayal at Baldur's Gate, Star Trek: Five Year Mission, and Rock Paper Wizard plus its unreleased expansion "A Fistful of Monsters"! Oooh and Aaah as they compete to see who can claim the title of greatest board gamer, or watch in awe as they work together to try and survive! It’s time. The six characters you’ve chosen throughout the last two days, from the three previous roleplaying sessions, will be pulled into the world of Ravnica, for an epic Dungeons and Dragons conclusion! Will the crew of the Pathfinder, the heroes of Millenium City, and the Jeffs of Neverwinter be able to coexist in peace, and find the cause of all of this plane shifting? Or are they doomed? DOOMED I SAY? Thanks so much, folks, and we can’t wait to see you on the December 8th and 9th!